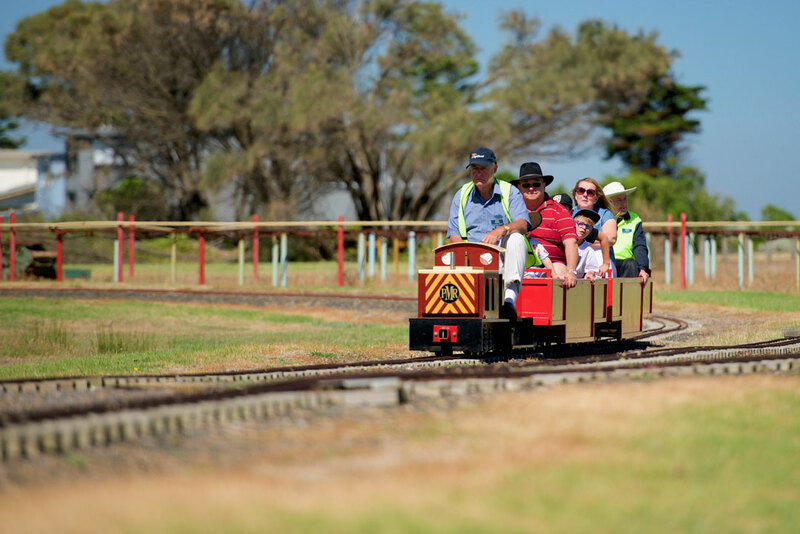 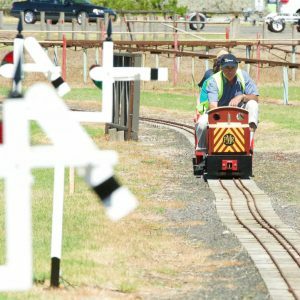 A ride on the Portarlington Bayside Miniature Railway is an unforgettable experience. 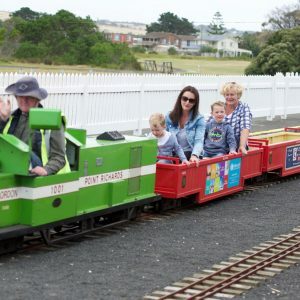 As the train departs from Point Richards Station your are overcome with the freshness of the ocean breeze, as the train windes through picturesque parkland’s. 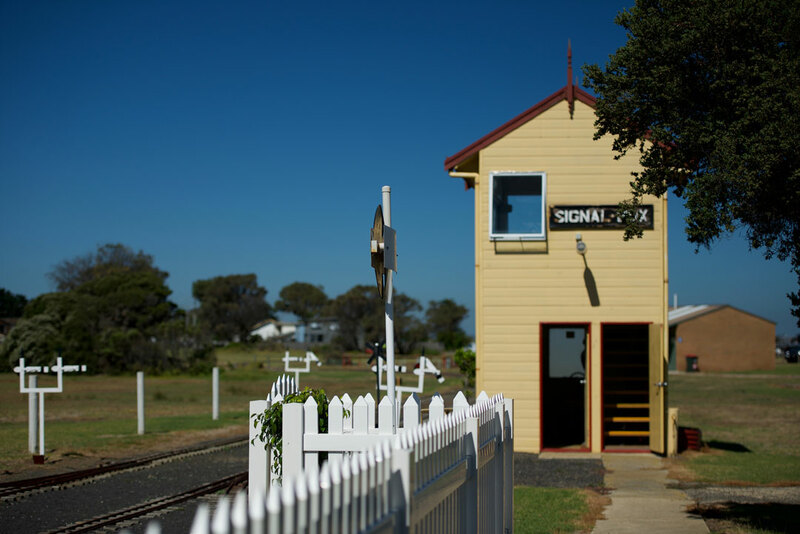 Allow yourself to leave behind the modern world and become immersed in the charming atmosphere that our railway has to offer. 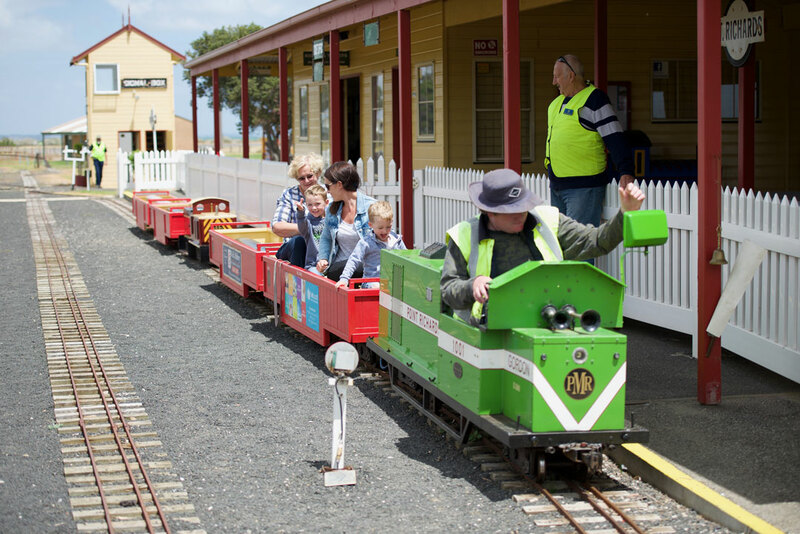 Be whirled away into the past and imagine the powerful sounds of a roaring locomotive, with its whistle echoing across the Bay. 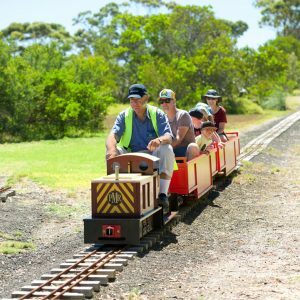 The magic and charm of the miniature railway has brought enjoyment and fun to a generation of families over many years since the first operated public running day in January 1999. 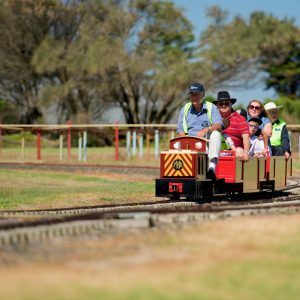 Portarlington Bayside Miniature Railway, is Geelong’s only 7.25 and 5 inch Miniature Railway and Australia’s only railway located on a foreshore. 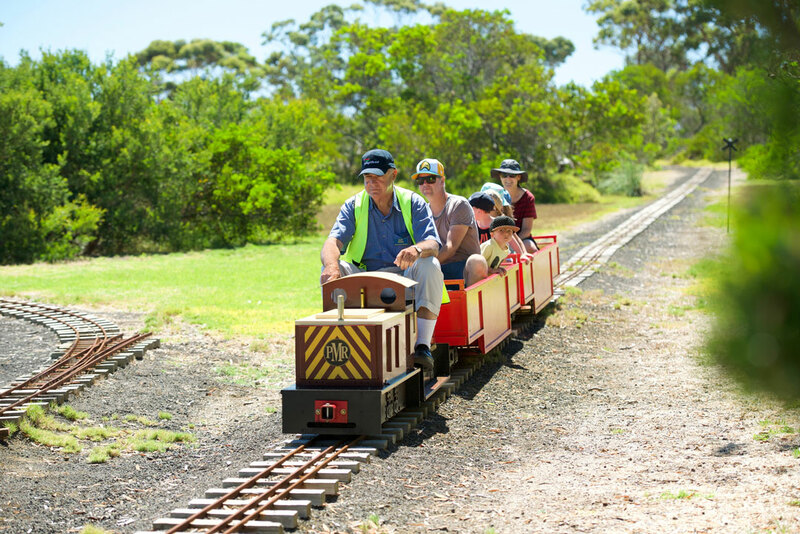 The railway is located on eight hectares of open picturesque native parklands. 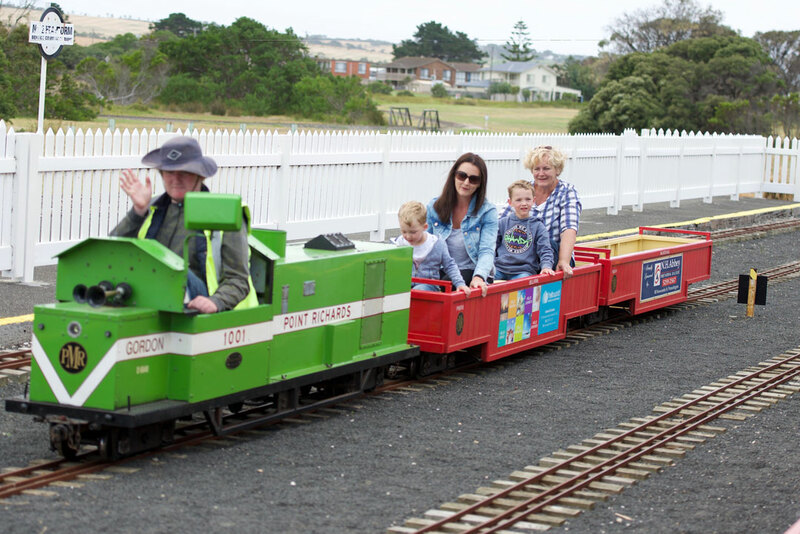 Directly adjacent to the beautiful beach’s of Portarlington overlooking Port Phillip Bay. 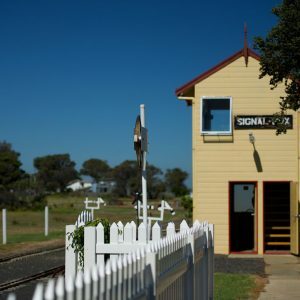 The Facility offers a vintage Railway Station and Signal Box with an undercover platform, which seats up to 70 guests. 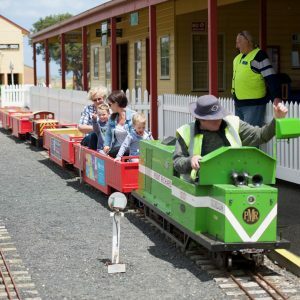 The Kiosk offers tea, coffee, cold drinks, ice creams and light refreshments, with a great selection of locally handcrafted railway souvenirs Free undercover barbeques and Picnic tables are available for use all year round. 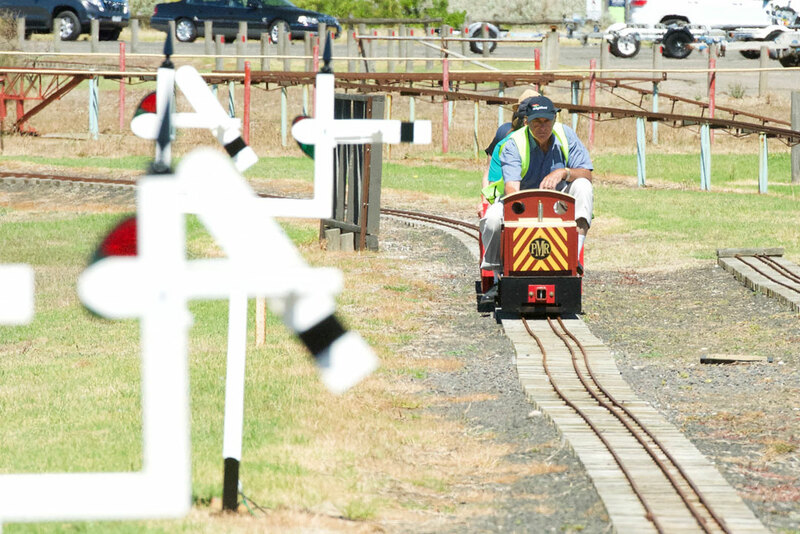 The Children’s adventure playground will bring hours of fun for your family.